After being shut out in the first two games of the NLDS, the Braves not only posted a crooked number on the scoreboard in Game Three, but staved off elimination entirely with a 6-5 win over the Dodgers. Ronald Acuna continued to make history, as the 20-year-old rookie sensation become the youngest player ever to hit a grand slam in postseason action. Game Four is set for Monday in Atlanta at 3:30pm CT. 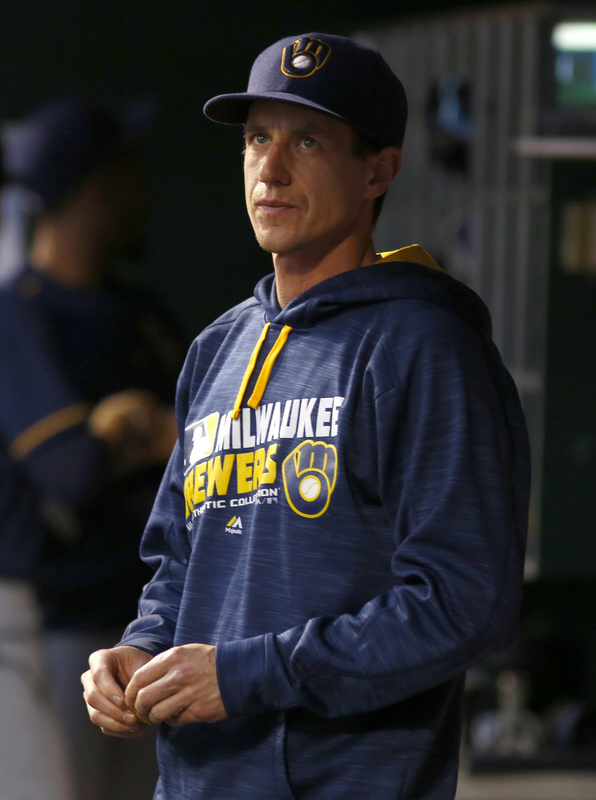 The Brewers made Craig Counsell’s continued employment as manager a requirement for any general manager candidate in 2015, owner Mark Attanasio told Tom Haudricourt of the Milwaukee Journal Sentinel. “We interviewed seven or eight candidates, and I told all of them that Craig was going to be the manager,” Attanasio said. “So, that would have disqualified a candidate if they had a problem with that….That was a precondition to the job.” Counsell has paid off his employer’s faith by leading the Brewers into the NLCS, and quickly impressing observers along the way — eventual new GM David Stearns, the Brewers’ roster, and fans in Counsell’s home state of Wisconsin. Two shoulder surgeries and a right ankle injury limited Michael Brantley to just 101 total games in 2016 and 2017, limiting his productivity and sidelining him for all of the Indians’ run to Game Seven of the 2016 World Series. That long recovery period has made this season all the more special for the outfielder, who rebounded to hit .309/.364/.468 and 17 homers over 631 plate appearances and 143 games while helping the Tribe reach the postseason. “When you go through basically almost a two-year rehab, you don’t always know that you’re going to come back,” Brantley told MLB.com’s Jordan Bastian. “Every day that I’m there to be with my teammates, that I’m healthy enough to be in that lineup, where I can joke around and know that I’m going out to left field to play with these guys, I’m very appreciative. I don’t take it for granted.” Monday, however, could mark Brantley’s last game in a Cleveland uniform if the Tribe is swept by the Astros, as Brantley will be a free agent at season’s end. Khris Davis and Jean Segura could have been building blocks for the Brewers rather than enjoying big seasons for the A’s and Diamondbacks, though GM David Stearns tells Tom Haudricourt of the Milwaukee Journal Sentinel that he doesn’t regret dealing the two players last winter to pick up younger talent. “There are going to be times when you trade a player and he has a good year, and that’s OK,” Stearns said. “These are challenging decisions but we make them with a great deal of confidence. If we continue to follow this approach, we believe we’re going to amass the critical amount of talent at the major-league level that’s going to allow us to compete consistently.” Both Stearns and owner Mark Attanasio said are committed to continuing the team’s rebuilding plan, and are pleased with the Brewers’ progress in 2016. Attanasio hinted that manager Craig Counsell will receive a contract extension this winter. Counsell’s original three-year deal expires at the end of the 2017 season. Counsell has a 131-162 record as Milwaukee’s skipper, though wins and losses on a rebuilding team aren’t necessarily as important as how Counsell has handled several challenges in his first full season as manager — keeping the Brewers prepared and competitive amidst a losing season, preparing younger players getting their first shot in the bigs and handling the trade rumors swirling around Jonathan Lucroy and Ryan Braun. As it is somewhat unusual for a new GM to step into a job with a manager he didn’t originally hire, Attanasio said he has been impressed at how Counsell and Stearns have worked together. Today was the Brewers’ last home game of the season, and it could potentially also be Braun’s last time wearing a Milwaukee uniform at Miller Park. The slugger told reporters (including Haudricourt, via Twitter) that he didn’t think there was “a great chance” he would be traded this offseason, though there is a “higher chance” at a deal this winter than there has been in past years. “On a day like today, it’s impossible not to think about it [a trade] at least a little bit. You try to stay focused,” Braun said. Several teams were rumored to be interested in Braun around the trade deadline, and the Brewers and Dodgers seemingly came rather close on a potential deal that would’ve sent Braun to Los Angeles for a trade package including Yasiel Puig. Braun will have quite a bit of control over his future, as his contract allows him to block trades to 23 teams every season. The Dodgers were one of three teams (along with the Angels and Marlins) who weren’t included on his no-trade list in each of the last two years. If newly minted Brewers GM David Stearns elects to keep Craig Counsell in the manager’s role, the two appear to be a very good fit with one another on the surface, writes David Laurila of Fangraphs. Laurila spoke to Counsell recently about how his time working in the Brewers’ front office gave him an appreciation of analytics and how his years working with Doug Melvin have made him receptive to input from the front office. “Part of what working in the office did for me was provide a lot of exposure to the analytics side,” said Counsell. “That was valuable, because every day it plays a part in your decision-making. You’re challenged by what your eyes are telling you, you’re challenged by what the information is telling you, and you strike a balance. That’s managing. … [A] great thing about working in the front office was that it gave me a different perspective. You see the game differently. When you’re in the forest every day, you always don’t see it.” The entire interview is well worth a read, as Counsell offers an insightful, forward-thinking take on the evolving role of a manager and the incorporation of data and analytical information into his job. Adam Wainwright threw 25 pitches to teammates yesterday, reports Derrick Goold of the St. Louis Post-Dispatch. However, the injured Cardinals ace, who hopes to return for the postseason as a reliever, said he still feels “a hair off,” even though he considers his pitches to be “game-ready.” The next step for Wainwright is a simulated game without a screen (he threw from behind a screen Wednesday) so that he can field his position. Manager Mike Matheny wouldn’t offer any definitive take on whether or not Wainwright would pitch in the playoffs, stating that the decision would come down to what’s best for the team. He did, however, note that he’s a firm believer that, come the postseason, experience is an important factor. Though he has experience in the Brewers front office, manager Craig Counsell told reporters (including MLB.com’s Adam McCalvy) that he is “not a candidate” for the team’s vacant GM job. Counsell’s job will likely remain safe no matter who takes over as Milwaukee’s GM, as owner Mark Attanasio made clear in yesterday’s comments to the media (including Tom Haudricourt of the Milwaukee Journal Sentinel). “We were very careful in making that manager choice. If somebody comes in and thinks they can come up with a better name, they would probably do that at their peril in the interview,” Attanasio said. Outgoing Brewers general manager Doug Melvin ultimately lost his job due to three factors, Fangraphs’ Dave Cameron writes in a piece for FOXSports.com. The team didn’t draft well, they both gave away too much talent to acquire Zack Greinke and then didn’t recoup enough when dealing him away, and Milwaukee wasted a lot of at-bats on sub-replacement players. With the Cardinals raking in the revenue, Jeff Gordon of the St. Louis Post-Dispatch suggests a few ways the club can spend some of that money this offseason and in years to come. Re-signing Jason Heyward is a good fit, as is picking one of John Lackey or Jaime Garcia for next year’s rotation, and planning extensions for young core pieces like Kolten Wong, Michael Wacha, Carlos Martinez and others. The Brewers announced late last night that they’ve relieved manager Rob Roenicke of his duties, and shortly after, Ken Rosenthal of FOX Sports reported that longtime Major League infielder Craig Counsell, who has been serving as a special assistant to GM Doug Melvin, would be tabbed as the new skipper in Milwaukee. The club took home a tough-fought win tonight in Counsell’s first game at the helm. 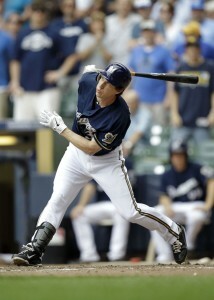 Roenicke himself expressed surprise and disappointment at the decision, writes MLB.com’s Adam McCalvy. “I told Doug I wished it would have happened a week ago,” Roenicke said, referring to the club’s back-to-back weekend victories over the division-rival Cubs. “I would have understood it better then.” Melvin said that he feels he gave Roenicke every opportunity that he could to right the ship, but ultimately making a change felt like the right thing to do. Roenicke’s early departure is somewhat unusual, but not without precedent, as MLB.com’s Tracy Ringolsby writes. Only 19 managers have been fired within a season’s first 25 games, says Ringolsby, who notes that the earliest-ever hooks were made by the 1988 Orioles (Cal Ripken, Sr.) and 2002 Tigers (Phil Garner). Milwaukee felt comfortable giving Counsell a three-year contract due in part to his knowledge of the organization’s minor league system, McCalvy tweets. A potential “reset” at the big league level would be easier to accomplish given that familiarity, according to GM Doug Melvin. Counsell has been advised that he can add to the club’s coaching staff, tweets McCalvy. Understandably, given the timing, Counsell is still weighing that decision. MAY 4, 7:26am: The Brewers view Counsell as a long-term replacement and will give him a multi-year contract, reports Bob Nightengale of USA Today (via Twitter). MAY 3: The Brewers will hire Craig Counsell as their next manager, Ken Rosenthal of FOX Sports tweets. The team announced the firing of Ron Roenicke Sunday night and will formally announce their new hire Monday morning. Counsell is currently a special assistant to Brewers GM Doug Melvin. He was a finalist for the Rays managerial job this past offseason, but he withdrew his name from consideration in order to stay on with the Milwaukee front office, where he has worked with the Brewers front office since retiring as a player. Counsell has no managerial experience, although he’s regarded well enough in the industry to have been considered not only for the Rays job, but for the Red Sox’ hitting coach position, for which he interviewed in 2012. He is far from the first manager to be hired without prior experience, as there’s been a growing trend of hiring rookie managers in recent years. Paul Molitor (Twins), Kevin Cash (Rays), Walt Weiss (Rockies), Mike Matheny (Cardinals), Bryan Price (Reds) and Brad Ausmus (Tigers) are all examples of recent hires that had no prior experience as a manager in the Majors or Minor Leagues. The 44-year-old Counsell spent parts of 16 seasons in the Majors as a player, including with the Brewers in 2004 and from 2007 through the end of his career in 2011. He hit .255/.342/.344 while playing mostly second, third and shortstop. Counsell also played key roles in World Series wins for the 1997 Marlins and 2001 Diamondbacks, winning the NLCS MVP award in 2001. Counsell will inherit a Brewers team that got off to a poor 7-18 start. Melvin has suggested the Brewers could begin trading veteran players in an effort to rebuild, a process Counsell evidently would then oversee.